It’s summer, and it’s another scorching week in the triple digits. Out comes the ice cream maker. Once the ice cream is ready, then we decide what we’d like to put on it. For me, ice cream sauces are a must on ice cream, but they can be pretty pricey. 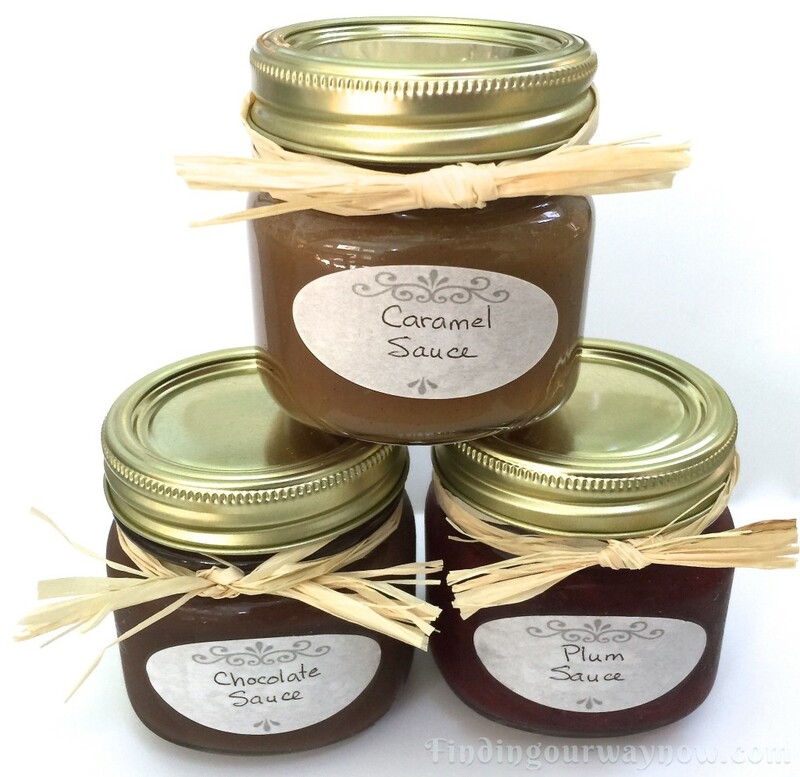 These three easy dessert sauces are very easy and inexpensive to make. The truth is, these three easy dessert sauces are very versatile. They can be used in so many ways – topping things, stirred in beverages, and as a dip. My three easy dessert sauces can also make great hostess gifts when you’ve been invited over for a barbecue, an ice cream social, or anytime you’d like to share a bit of sunshine for a friend or family member. The first of my three easy dessert sauces is caramel. I’m a caramel lover. Some would say I prefer it to chocolate. This recipe is fast and super simple to make, and boy is it ever good. 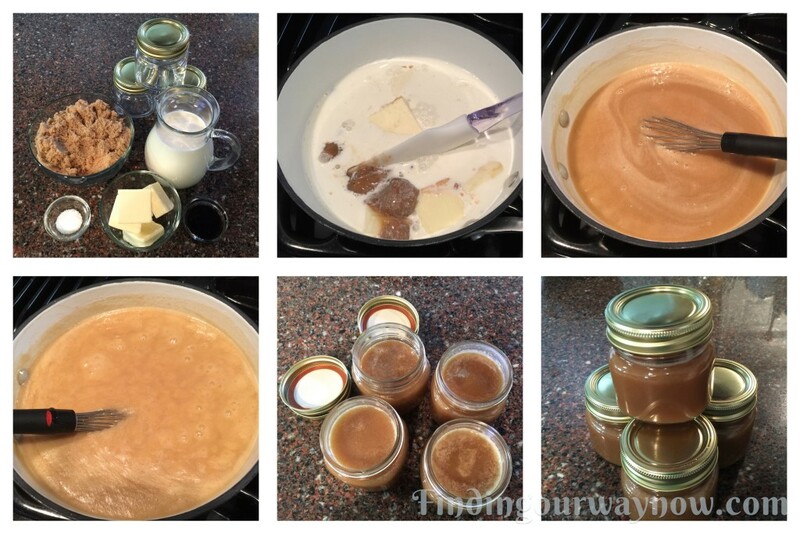 There are many versions of caramel sauce. This recipe is what I’ve used for I don’t know how long because of its simplicity. Clean and dry your jars and set aside. Mix the brown sugar, cream, butter and salt in a medium saucepan over medium heat stirring to combine. Once combined gently whisk the mixture over the heat for 5 minutes until the sugar is dissolved. Increase the heat bringing the sauce to a low rolling boil, about 2 minutes, until the Sauce starts to thicken. Reduce the heat and add the vanilla, continuing to whisk for another minute or so. Move off the heat. Using a canning funnel, pour the sauce into clean sterilized jars and allow the sauce to cool. When the sauce is cooled, sprinkle the top with coarse salt and refrigerate up to two weeks. Notes: I keep saying it, the most important thing to remember about this recipe or any recipe, are the quality of the ingredients. It makes ALL the difference. The sauce might solidify when it’s refrigerated. If that happens, just heat the jar in a bowl of very hot water or in the microwave (lid off) for a few seconds or until it’s warmed, stir to check for the consistency you desire. 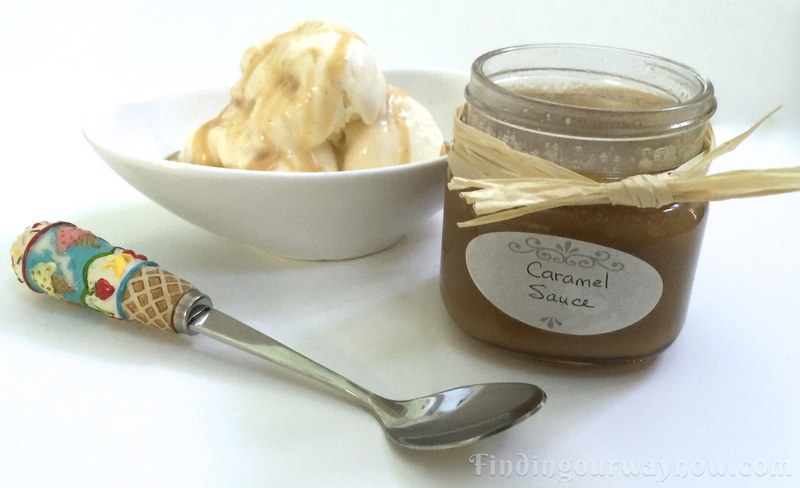 Aside from the obvious topping for ice cream, this caramel sauce has many uses and it’s awesome in your coffee or tea. It’s delightful drizzled on many cakes, pancakes, or waffles. It is an awesome dip for apple slices. Last but not least, drizzling this on a slice of apple pie is divine. The second in my line of three easy dessert sauces is chocolate. When it comes to toppings on ice cream, chocolate is always a favorite. The recipe is a no brainer and only requires a few minutes to make. One of the neat things about this chocolate sauce is it can convert to a hot chocolate sauce or the regular lukewarm version. Clean your canning jars ans set aside. In a medium saucepan, gently heat the milk and butter over medium-low heat. Stir the mixture until the butter is melted. Remove from the heat. Add the chocolate and wait a minute or two to allow the chocolate to melt. Start whisking in the center until the chocolate starts to melt. The mixture will start pulling into the warm milk. This will ensure proper emulsification. Continue to whisk until all the milk and chocolate are completely blended and smooth. Add the cream, a pinch of salt and a dash of cayenne and whisk until incorporated. 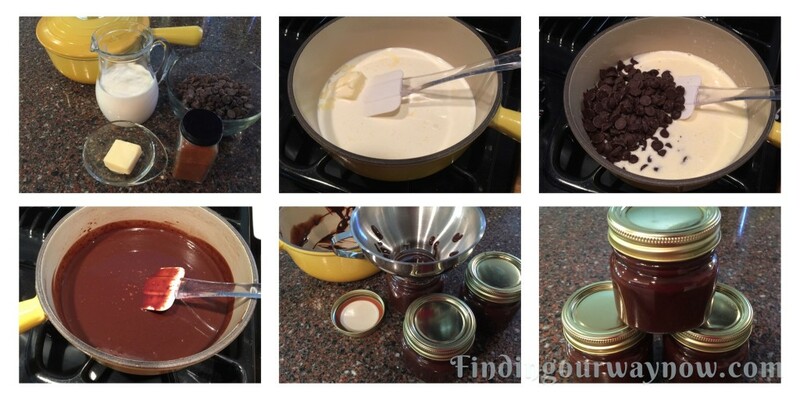 Using a canning funnel, pour the chocolate sauce into the cleaned canning jars. Allow the sauce to cool and move to the refrigerator. When you’re ready, bring the sauce to room temperature. Notes: This is easy-peasy. The key to great results with this recipe is fresh milk and good quality chocolate. You need whole milk for the fat content so don’t down grade to 2% or fat free. The dash of cayenne adds a nice background note but be sure only to add a tiny bit, unless you like a little more heat. The recipe can be cut in half or doubled, the quantity you make is up to you. The sauce may solidify a bit when refrigerated, To warm it up just place the jar in a bowl of very hot water or in the microwave (lid off) for a few seconds until it’s the consistency you desire. You can make it a hot chocolate sauce or lukewarm, it’s up to you. The third sauce but certainly not the least of my three easy dessert sauces is an easy fruit sauce. Fruits sauces can add a whole lot of flavor to so many things including ice cream. 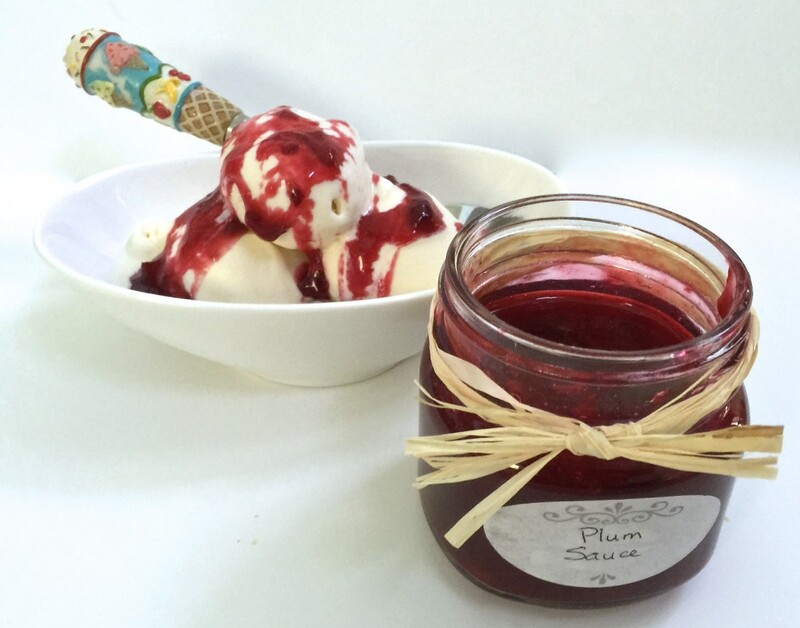 This recipe is a variation of my freezer plum jam. It’s as easy as the chocolate sauce with just a few less ingredients. In a large mixing bowl, combine the fresh or diced fruit, sugar and a dash of salt. Stir for about 3 minutes to thoroughly incorporate the ingredients. Pour the mixture into a medium saucepan and bring to a rolling boil. Let the mixture boil for 1 minute. Reduce the heat to a low boil and cook until a bit thickened and syrupy, about 2 to 3 minutes. Move off the heat. Using a canning funnel, pour the hot mixture into the canning jars. Let it cool on the counter to room temperature and then refrigerate for up to 3 weeks. Notes: I like my fruit sauce a bit tart. if you prefer it a little sweeter add up to a ½ cup of sugar. You can freeze this sauce for up to 12 months. 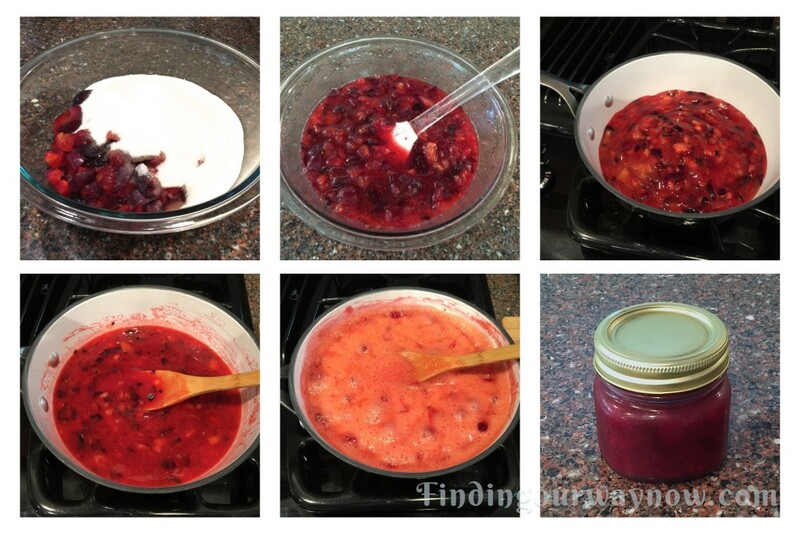 This is a little like making jam except you don’t use pectin, and there is no need to cook it quite as long. When you’re ready to use the fruit sauce, bring or thaw one of the jars to room temperature and enjoy. If you enjoy it a bit warm, just heat it up in the jar in a bowl of very hot water or in the microwave (lid off) for a few seconds or until it’s the temperature you desire. 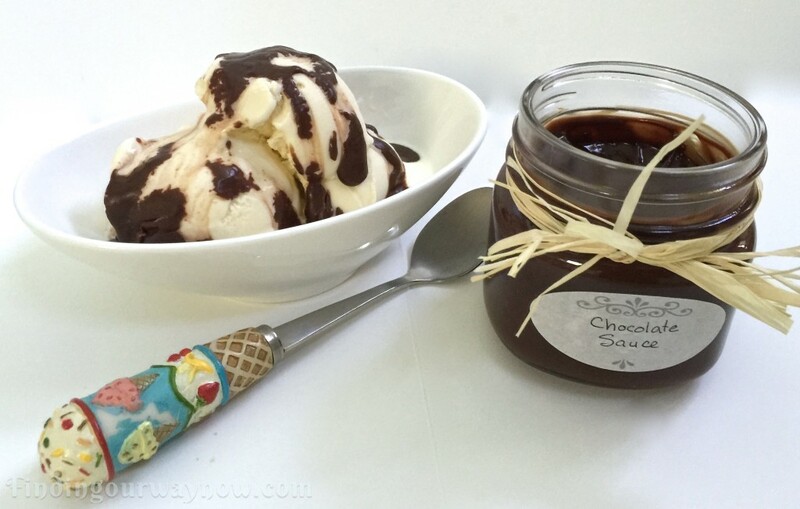 These three easy dessert sauces are a tasty treat and fun to make. When you add a cute label and bit of raffia or ribbon and place the trio of these three easy dessert sauces in a small basket or decorative box, you have an awesome gift for anyone. 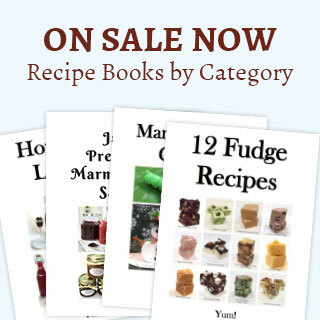 If you enjoyed my “Three Easy Dessert Sauces,” check out my Homemade Belgian Waffles, Cream Pies In A Jar, and my awesome Fresh Figs & Honey Dessert. Enjoy.